Back in June, we talked about the upcoming annual AJAC EcoRun, put on by the Automobile Journalists Association of Canada. It was held this year from June 20 - 23 across New Brunswick, with stops in Moncton, Saint John, Bay of Fundy and Fredericton. 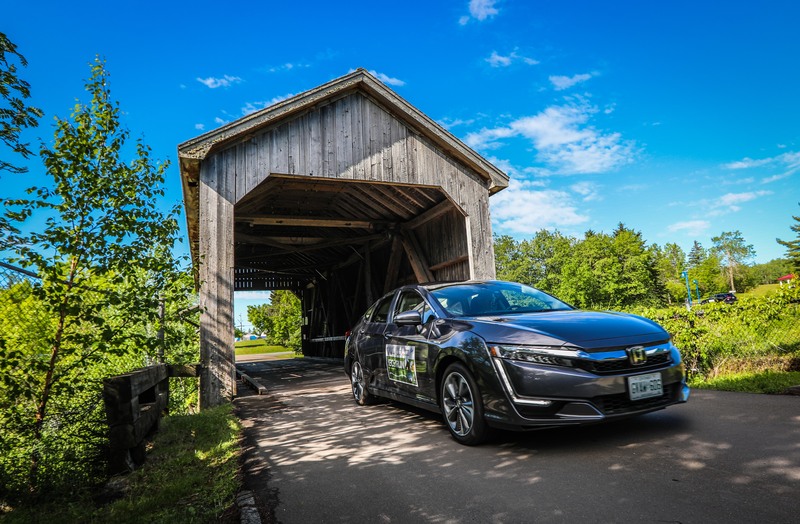 AJAC has posted their summary video of the 2-day, 570-kilometre event, which includes interviews with a number of the journalists participating, spotlights on some of the 19 eco-friendly vehicles in the run, plus some scenic views of New Brunswick. This is the first time that the EcoRun was held in New Brunswick, a province with 48 charging stations and an initiative to install 12 more, putting it well on its way to being Canada's first fully connected province. At the end of the EcoRun, the Green Jersey is awarded to the journalist who has the best overall fuel economy across all the vehicles they drove. This year it was awarded to Jim Kerr from exhausted.ca. Overall, the AJAC journalists achieved a combined fuel economy of 4.86 L/100 km in comparison to Natural Resource Canada's (NRCan) combined rating for these vehicles of 6.45 L/100 km. At the Green Jersey award ceremony, Jim shared a few strategic tips: "I didn’t boot it very hard. I tried to keep to the speed limit ... letting off on the throttle down hills and keeping uphill speeds moderate. I kept the air conditioning off most of the time but, if it got really hot, I’d switch it on briefly. I also kept the windows closed at highway speeds, because the drag from open windows increases fuel consumption, and sometimes opened them in town." You can read more about the AJAC EcoRun in the Summer 2018 issue of Vicarious Magazine. You can also get the detailed specs about how each vehicle in this year's EcoRun fared on the AJAC site.